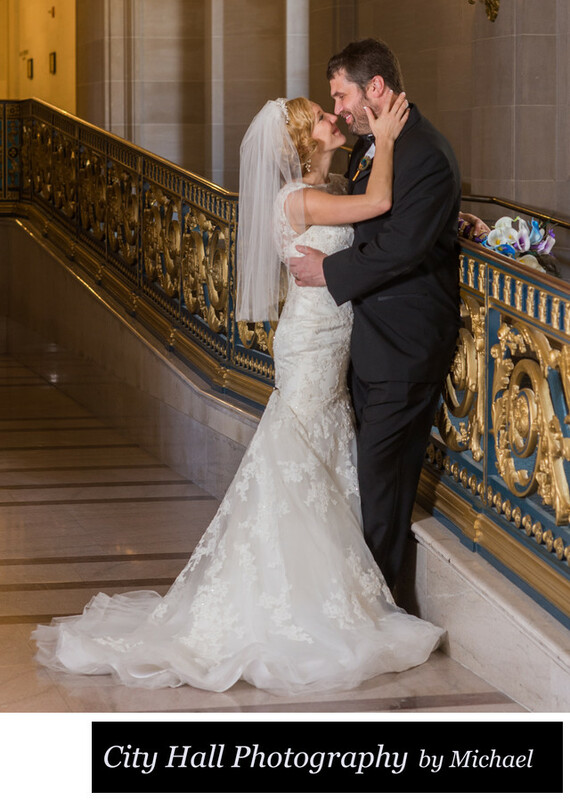 We love placing our couples along the gold railing at San Francisco city hall. It shows depth and color which helps make the photo have more dimension. After close to 10 years of photographing weddings at city hall, we figured out that this would be a great location. One of the ironic things is that this is actually the handicapped railing which is probably part of the reason we never considered it before. Now it's one of our favorite spots due to the depth and color it provides. In this particular pose, we had our bride place her hand on the groom's face to emphasize their relationship. This image was barely posed, the couple did most of the work!